"I don't just prepare to fight, I prepare to win. 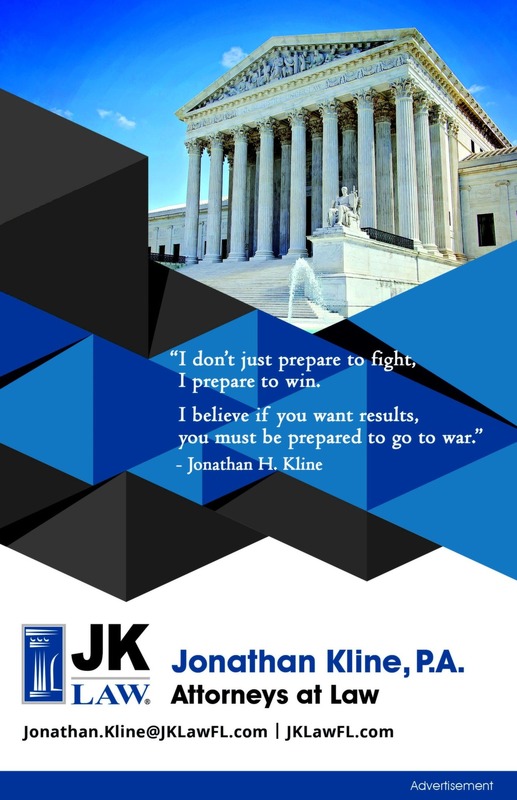 I believe if you want results, you must be prepared to go to war." As your South Florida Lawyer we have been providing legal counsel for businesses, corporations, and individuals throughout the entire state of Florida for over eighteen years. From mortgage foreclosure defense, bankruptcy, real estate transactions, real estate litigation, and general litigation we have been providing excellent service to our clients. At the Weston law offices of Jonathan Kline, P.A., we represent borrowers and homeowners defending them in their mortgage foreclosure proceedings. If you are a victim of defective Hip Implants, Hernia Mesh or IVC Filter complications, contact our us to see if you have a Class Action Lawsuit. Due to a variety of factors, the demand for housing has dropped off considerably in recent years, causing a decline in property values across Florida. Unfortunately accidents do happen and if this is the case you are certainly not alone. When finalizing your residential or commercial real estate closing, you want a marketable title, free from debts and other defects. Have you made a substantial investment in a construction project only to realize that the contractor has failed to live up to their end of the deal? Hurricane Irma Claims Florida Attorney – We provide legal services related to insurance claim presentation, coverage disputes, insurance bad faith issues, and insurance litigation. Creditor harassment. Wage garnishments. Mortgage foreclosure notice. Outstanding business liabilities.